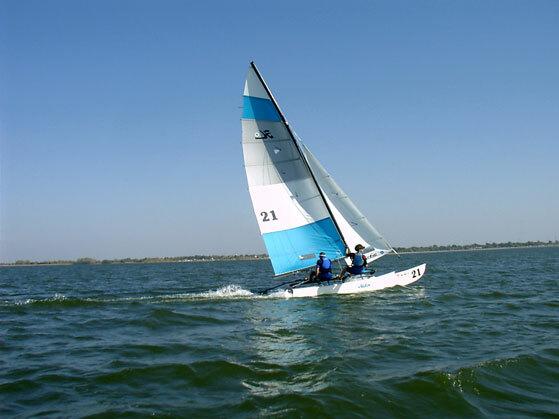 We (Jackie and Alan) recently added sailing to our list of outdoor interests. 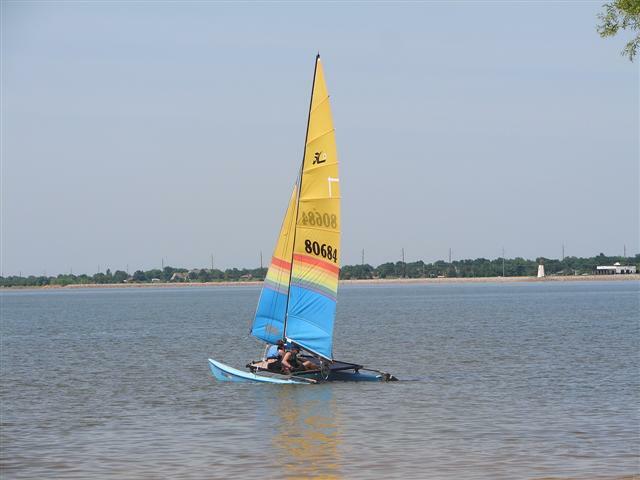 Lake Hefner, Oklahoma in OKC is the one of the best sailing lakes in the U.S. We enjoy spending summer weekends at the lake with our catamaran friends. 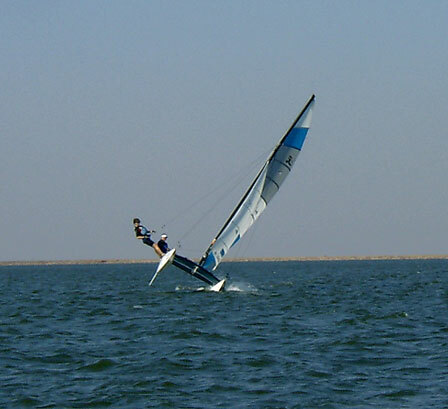 Our 2005 Ventura Nationals Hobie 16! 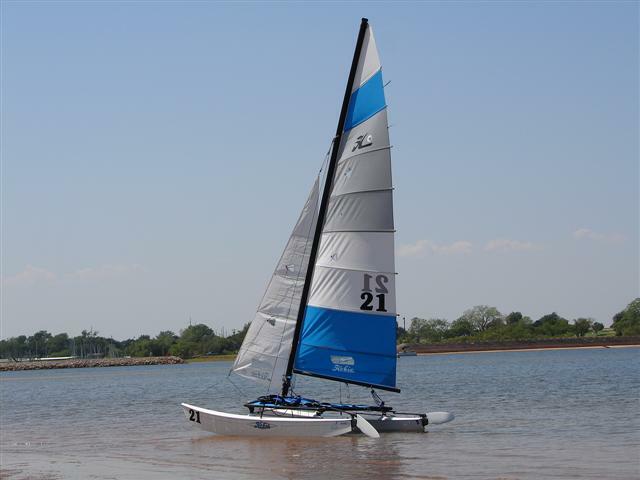 Our previous Hobie 16 on Lake Hefner. 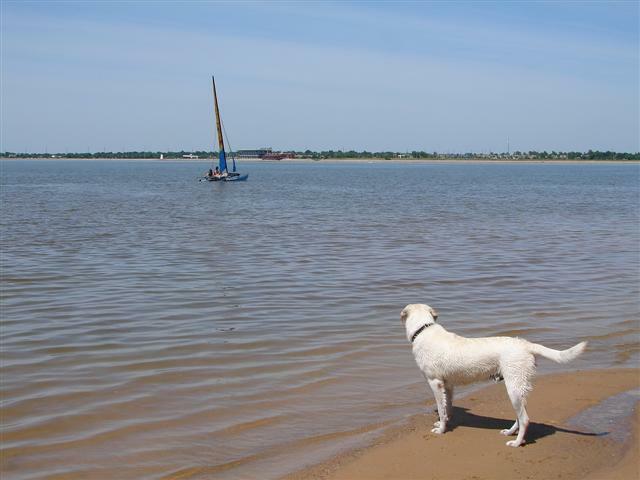 Scout (our Lab) watches Jackie and a friend sail away. 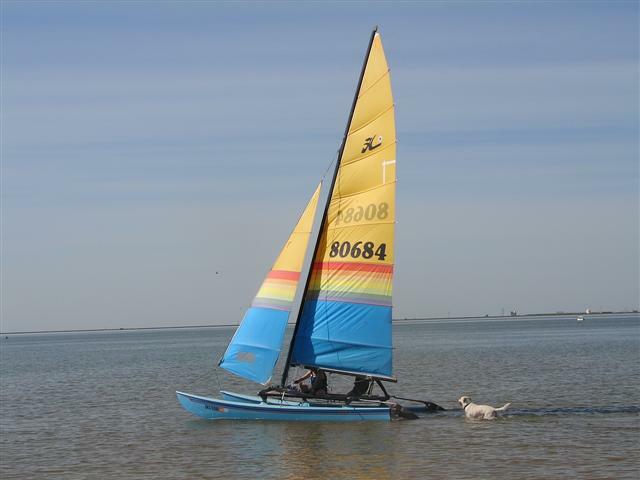 Scout tries to swim after Jackie during a relatively calm day on Lake Hefner. 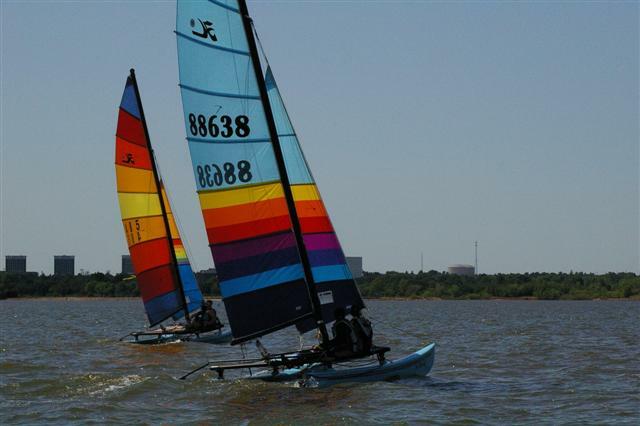 Alan and Jake Dragoo (right) 'round the pylon at the Dagerless Regatta on Lake Hefner, Oklahoma. Photo by Sue Oats. 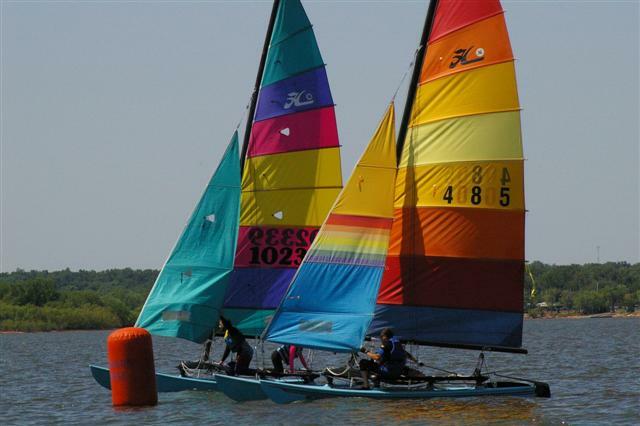 Alan's boat (left) races toward the finish of the regatta. Photo by Sue Oats. 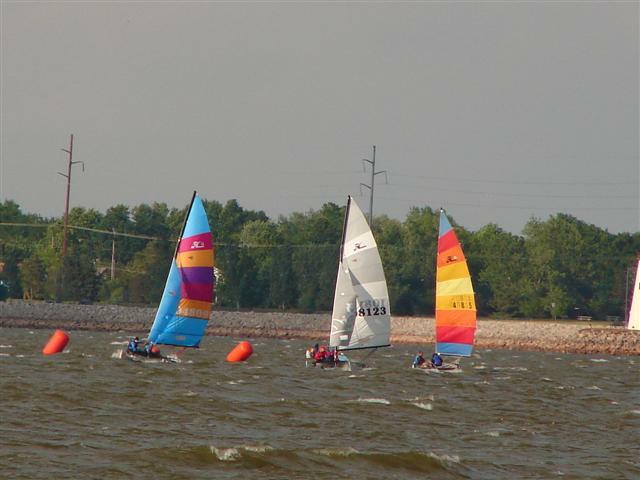 Alan and Jake Dragoo (right) battling high winds on Lake Hefner during the regatta. 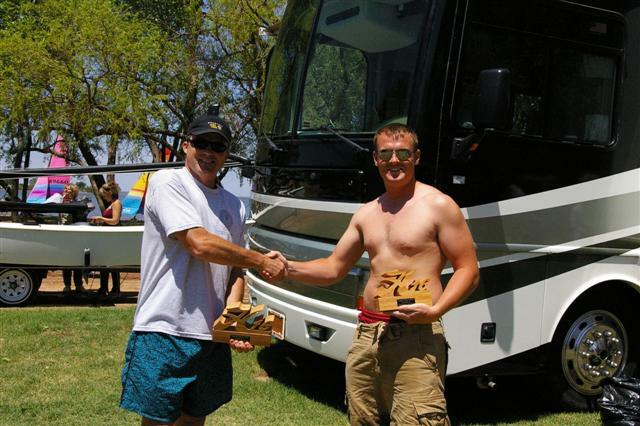 Alan and Jake Dragoo take second place (16B) in their first Hobie 16 regatta! Photo by Sue Oats. 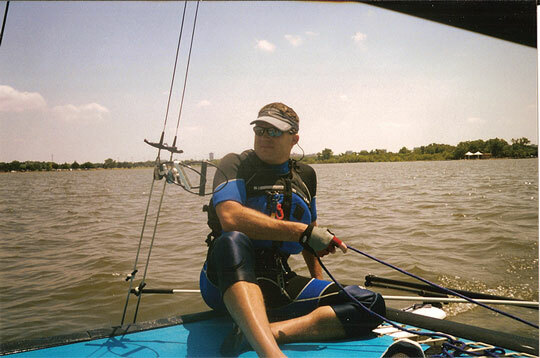 Alan enjoying a day on Lake Hefner. 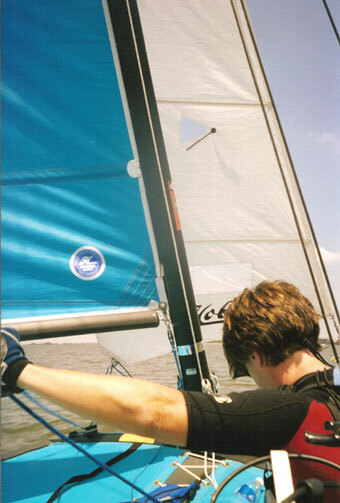 Jackie is an expert at managing the jib sail.